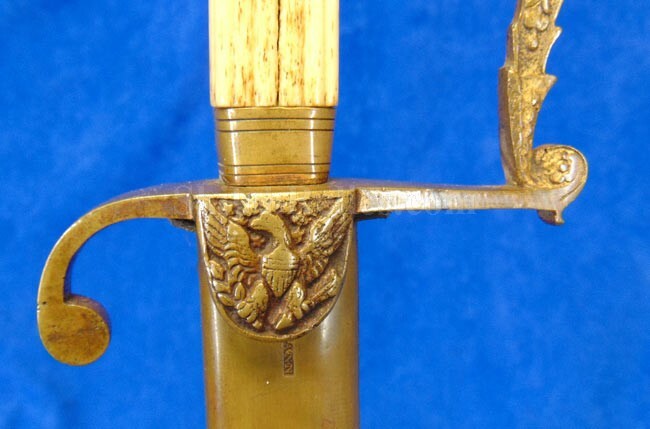 Here is a beautiful untouched original pre-Civil War officer’s sword. 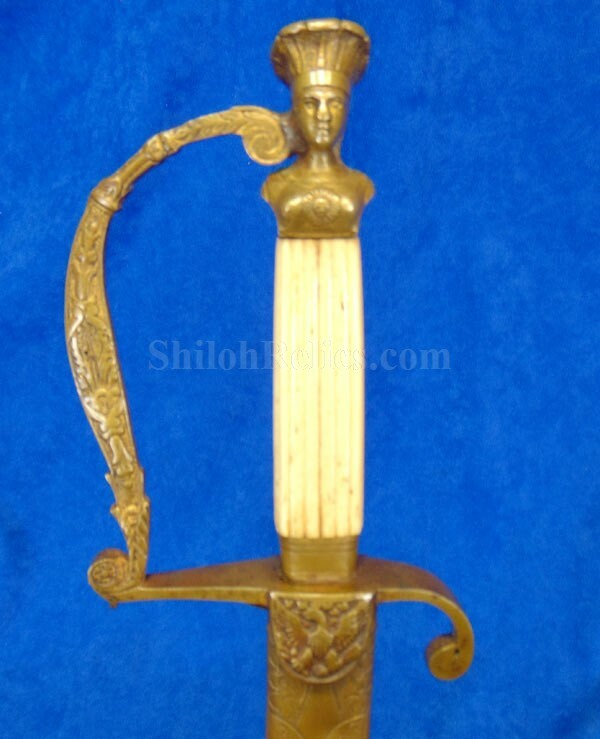 This is the style known to collectors as the Indian Princess pommel sword. 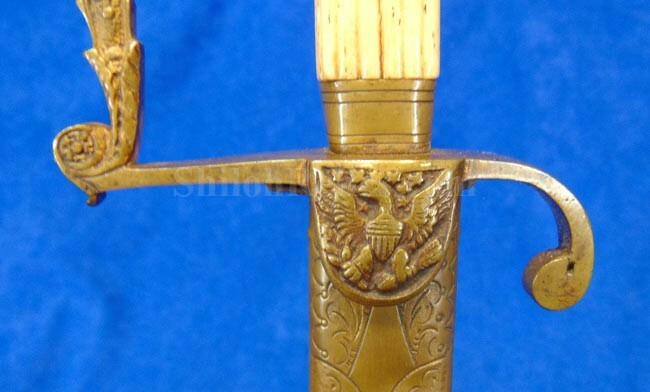 Obviously they get their name from the brass pommel cap that is on the end of the grip holding the sword together. 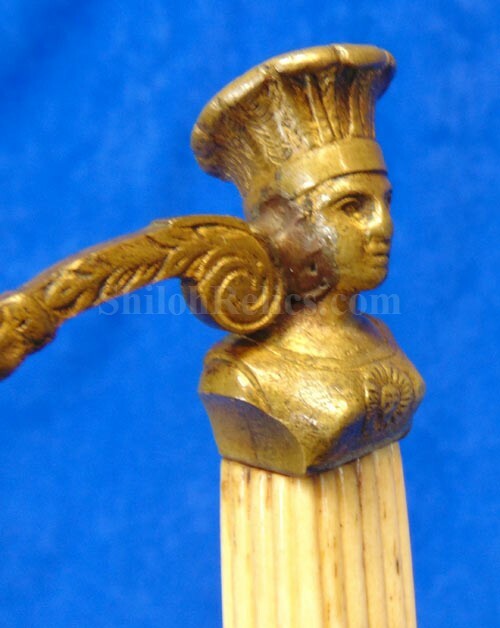 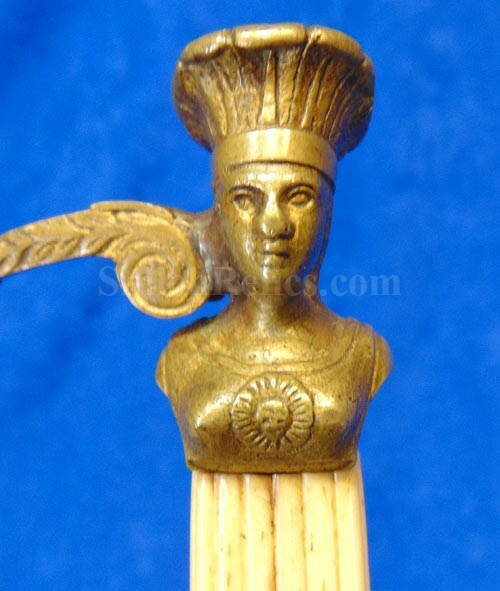 As you can see it is made in the form of the princess with the tall headdress. 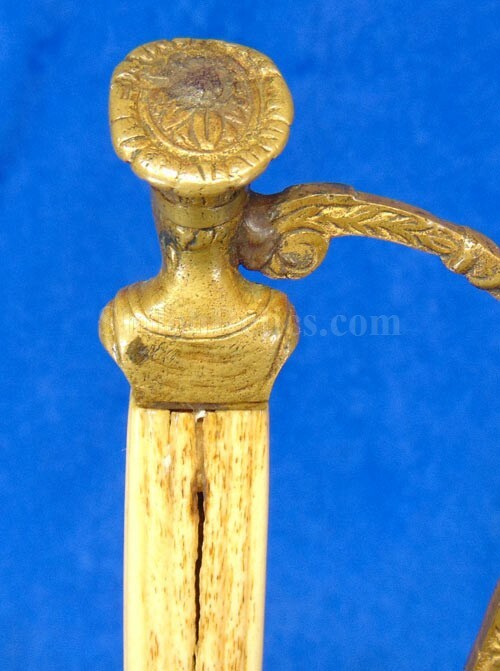 This one has the original pommel intact as well as the brass hand guard. 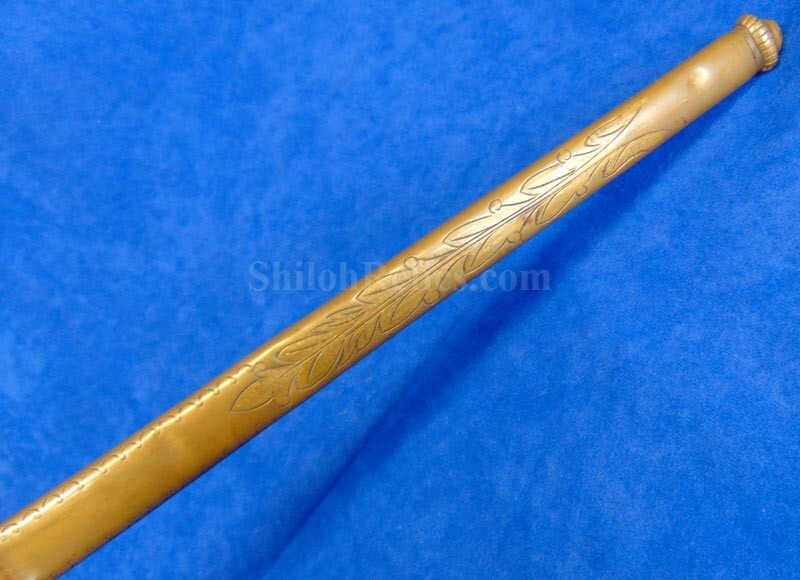 The handle is made of polished bone and displays well from both sides. 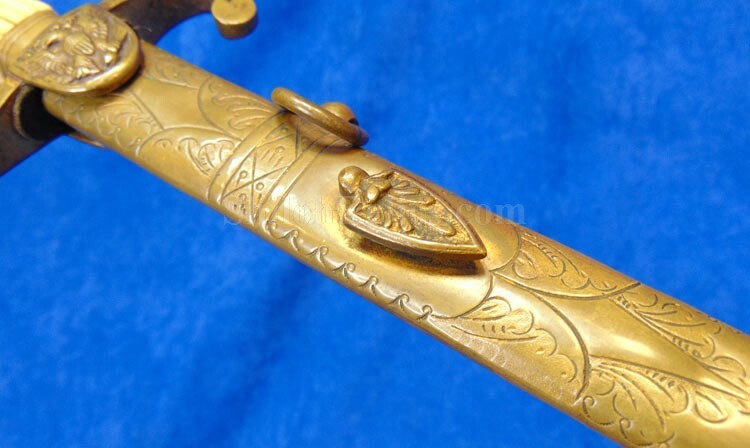 The hand guard itself has the clam shell portion that has the spreadwing Union eagle on the side. 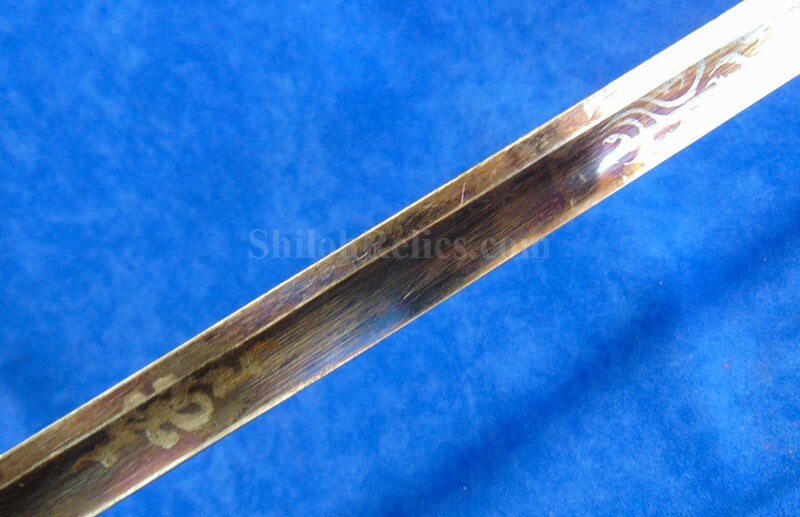 The blade is full length at 29-1/2 inches. 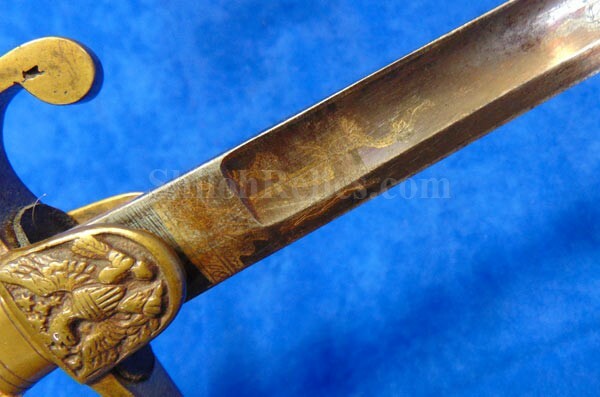 It has a fine attic tone all over and it has the original engraving on the blade with some of the original gold and blue color surrounding the engraving. 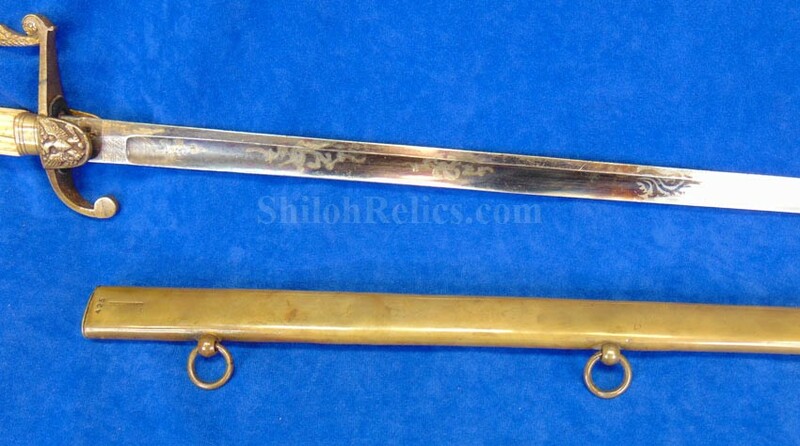 These swords were quite popular with officers during the 1830’s to the 1850’s including during the Mexican War. 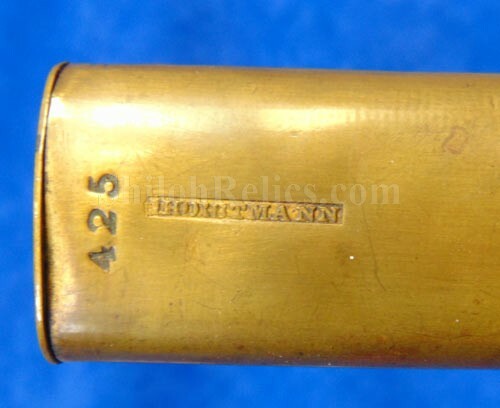 Some of them saw continued service into the Civil War. 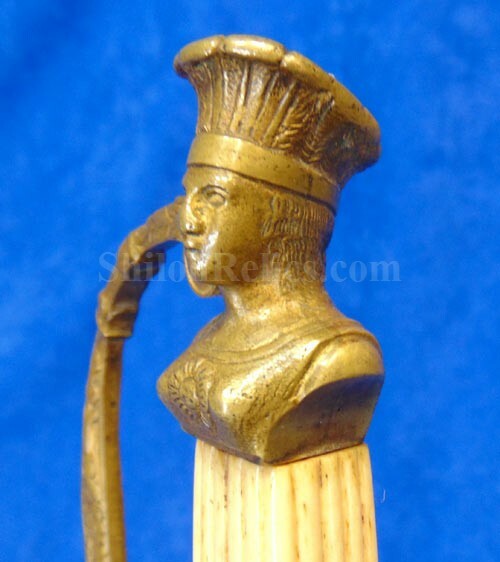 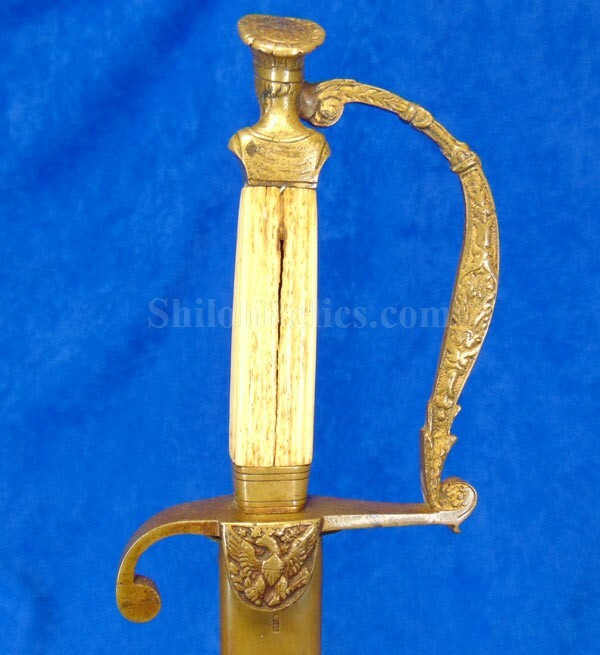 It has the scabbard accompanying it that is made of brass and it is complete and displays quite well. 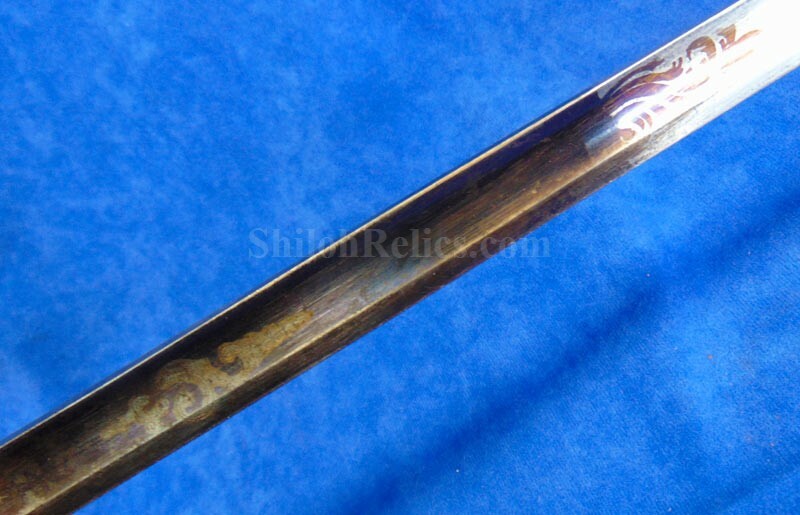 It has both of the mount rings intact and also has a beautiful untouched honey color all over. 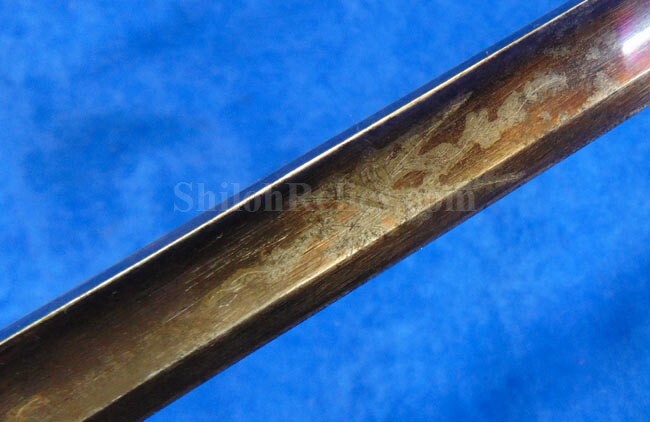 On the back of the scabbard, it has the desirable maker marking from the Philadelphia firm of Horstmann. 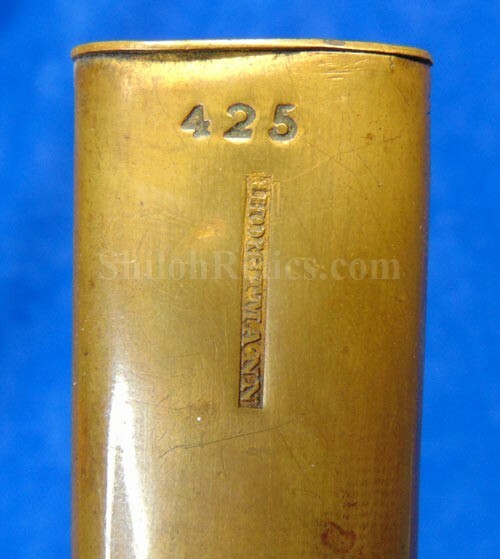 It also has the model number "425" stamped into the brass. 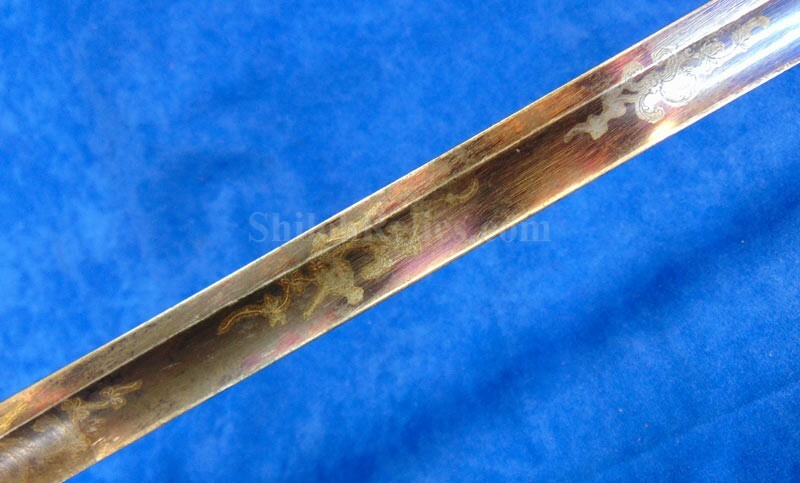 This is a nice looking and tough to find version of officer’s sword.